U.S. Army Judge Advocate, 1992-2015; Past First Chair (criminal trial experience prosecuting and defending felony criminal defendants). U.S. Attorney, Special Assistant 1998-99 (Prosecuted felony crimes on behalf of the Western District of Texas). City Council Appointed Board Member, Frisco Economic Development Corp. (2012-2016). Board Member, Heard Natural Science Museum & Wildlife Sanctuary (2007-2017). Board Member, DFW Church of Christ (2002-Present). Member, Frisco Chamber of Commerce, Leadership Frisco Advisory Council (2010-Present). Member, Junior League of Collin County, Community Advisory Board (2008-2010). Graduate, Leadership Frisco Class 13 (2009-2010). Graduate, Leadership Plano Class 25 (2007-2008). Represents a national credit reporting agency in numerous FCRA litigation cases across the country. Achieved favorable results including multiple dismissals and settlements for national credit reporting agencies and debt collection companies in multiple jurisdictions. Called upon frequently to advise construction related clients on litigation and surety-related issues. Handled shareholder business litigation matters against and on behalf of minority shareholders. Achieved favorable results both pre-trial and through jury verdict for physician, hospital, and nursing home clients in medical liability claims. 23-year career U.S. Army JAG Corps federal prosecutor, criminal defense attorney, and unit leader. Mr. Sheldon is an experienced trial attorney with a concentration in litigating financial services and business disputes, including Fair Credit Reporting Act and Fair Debt Collection Practices Act matters across the country. In addition to his FCRA and FDCPA background, Mr. Sheldon has provided consultation and representation in numerous areas of construction related litigation, personal injury defense, and medical liability exposure. 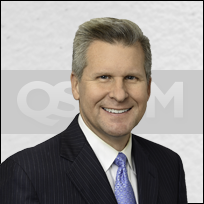 Prior to joining QSLWM, Mr. Sheldon was an equity partner at Strasburger & Price LLP handling a large federal court docket on behalf of a national credit reporting agency. He continues to advise clients as to appropriate methods of limiting liability exposure, including strategies for protecting corporate, business, and financial services entities. Furnisher’s Reliance on the ACDV Without Supportive Investigation Testimony Not Enough To Win on Summary Judgment, FCRA Newsletter (April 2013). Electronic FCRA Disclosures to Prospective Employee at Issue (Summer 2012). Court Holds that Plaintiff Failed to Present any Evidence of Actual Damages in a Failure to Conduct a Reasonable Reinvestigation Case, FCRA Newsletter (November 2010). Court Dismisses §1681s-2(b) Claim Against Furnisher Because Consumers Failed to Allege Notice from a CRA, FCRA Newsletter (February 2010). Douglass v. USAA Casualty Insurance, Inc., et al., 718 Fed.Appx 523 (9th Cir. 2017). Mayo v. Synchrony Bank, et al., WL 1133730 (D. Kan. 2017). Avetisyan v. Experian Information Solutions, Inc., et al., WL 7638189 (C.D. Cal. 2016). Douglass v. USAA Savings Bank, Inc., et al., WL 9185314 (C.D. Cal. 2016). Douglass v. USAA Savings Bank, Inc., et al., WL 9185315. Douglass v. USAA Savings Bank, Inc., et al., WL 9173463. Clark v. Experian Information Solutions, Inc., et al., WL 5724277 (S.D. Cal. 2016). Perez v. Experian Information Solutions, Inc., et al., WL 12683795 (C.D. Cal. 2015). Grigoryan v. Experian, et al., 84 F.Supp.3d 1044 (C.D. Cal. 2014). Scharer v. OneWest Bank, FSB, et al., WL 12558124 (C.D. Cal. 2014). Fishback v. HSBC, et al., 944 F. Supp.2d 1098 (D. N.M. 2013). Fishback v. HSBC, et al., WL 3227458 (D. N.M. 2013). Gauci v. Citi Mortgage, et al., WL 1535654 (C.D. Cal. 2012). Ilodianya v. Capital One Bank USA, N.A., et al., 853 F.Supp.2d 772 (E.D. Ark. 2012). Corby v. American Express Co., et al., WL 1130433 (C.D. Cal. 2011). Tilley v. Equifax, et al., 245 F.R.D. 717 (D. Kan 2007). Tilley v. Equifax, et al., WL 3120447 (D. Kan 2007). Nelson v. Havens, WL 1017815 (N.D. Tex 2005). Nelson v. Myrick, WL 2778073 (N.D. Tex. 2005). Amador v. Alamo Concrete Products, Ltd., WL 31473479 (Tex.App. 2000).